itnesses in northern Nigeria said at least four explosions happened late Sunday in Maiduguri, the capital of Borno state where Islamist Boko Haram militants remain active. There were no immediate reports of casualties from the blasts. Witnesses said two of them happened minutes apart at separate mosques in the city as people took part in their final prayers of the day. 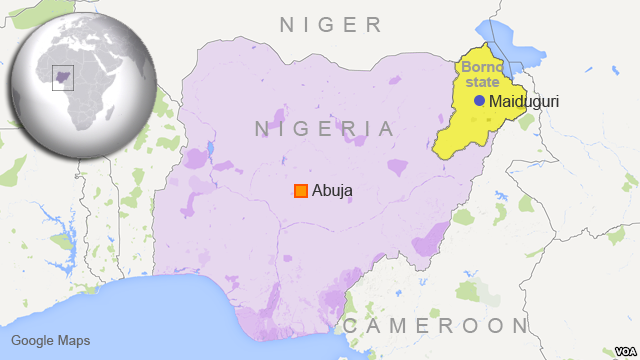 Other explosions were reported at markets in Maiduguri. No group claimed responsibility for the attacks, but Boko Haram has repeatedly used bombings since launching its insurgency in 2009. Boko Haram, which recently pledged allegiance to the militant group Islamic State, has killed more than 10,000 Nigerians as part of a campaign to impose Islamic rule on northern Nigeria. South Sudan President Salva Kiir will not be attending a meeting at the United Nations later this month called by Secretary General Ban Ki-moon to strengthen the ongoing peace process. Information Minister Michael Makuei said President Kiir had already designated his Vice President James Wani Igga to represent the South Sudan government. In addition, Makuei said, the invitation was given to President Kiir on short notice. 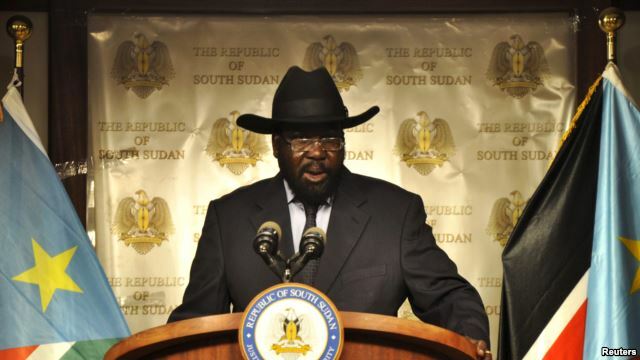 He said while President Kiir considers the UN meeting very serious, the situation in South Sudan is more serious. “President Salva Kiir is not going to the United Nations General Assembly meeting because he has already delegated his Vice President James Wani Igga to go and attend the General Assembly meeting as scheduled,” he said. Makuei said Vice President Wani Igga will be delivering the same message that President Kiir would have delivered had he come in person. In addition, Makuei said the UN invitation to President Kiir was given on short notice. “The fact that his Excellency was given the invitation on such a short notice definitely would not allow other commitments to have happened,” he said. Makuei denied President Kiir is not coming to the United Nations because he might not want to meet with his former Vice president. “He has been meeting with him (Former South Sudan VP Riek Machar) so many times in Addis Ababa and he is ready to meet him anywhere. The question is the wrong timing in which these two meetings have been rescheduled,” he said. But an official of the rebels said President Salva Kiir’s decision to skip the UN-sponsored meeting later this month in New York is an indication Kiir does not see peace as a priority, particularly since the invitation was extended to the two principals in the conflict. On the other hand, Ambassador Ezekiel Lol Gatkuoth, the secretary for foreign affairs of the Sudan People’s Liberation Army (SPLA) in opposition, said the rebels have always been committed to the peace process, saying they were the first to sign the recent agreement. “My leader, Dr. Riek Machar will be attending in his capacity as the chairman and commander-in-chief of the SPLM-SPLA opposition and as the vice president-designate. We will be arriving in new on the 24th. Definitely the meeting is for peace. We are for the implementation of the agreement. That’s why we are traveling to show our commitment to the UN that we are for peace,” he Gatkuoth said. He said the world will be the judge about who’s serious about peace and who’s not. Makuei said the government delegation that went to Addis Ababa last week to attend a workshop on the implementation of a permanent ceasefire returned to say that the rebels had refused to sign a ceasefire implementation agreement. “Yesterday the delegation that went to the workshop came back yesterday to inform us that the agreement on the implementation of the permanent ceasefire was signed by the government delegation and the former detainee delegation, and the rebels rejected the signing of the agreement. So the ball is now in the court of IGAD and the rebels,” he said. Gatkuoth said the rebels did not sign the implementation of the permanent ceasefire agreement in Addis Ababa last week because it failed to demilitarize the capital, Juba. “If you recall in the agreement, it is clearly stated that Juba will be demilitarized. Demilitarization means you will take the army away from the capital city, but if you look at it in the proposed draft that we are asked to sign, it is actually militarizing Juba. For example, it says that the barracks in Juba will be protected by 5,000 soldiers. This is not demilitarization. And it says that 3,000 integrated police will be there; this is already 8,000,” he said.